Critics like to opine about how Hollywood needs to start taking more risks and nurturing fresh and original ideas, but this past weekend demonstrated why—well, why it doesn’t do that. Exhibit A: Trading on both a hit book and an established director whose name is enough to give an entire generation the warm and fuzzies—not to mention the multitude of references to other dopamine-triggering nostalgic properties contained within—Ready Player One got the high score at the domestic box office this weekend with $53.2 million. That’s Steven Spielberg’s biggest opening weekend since the debut of another nostalgia-rich property, 2008's Indiana Jones And The Kingdom Of The Crystal Skull. 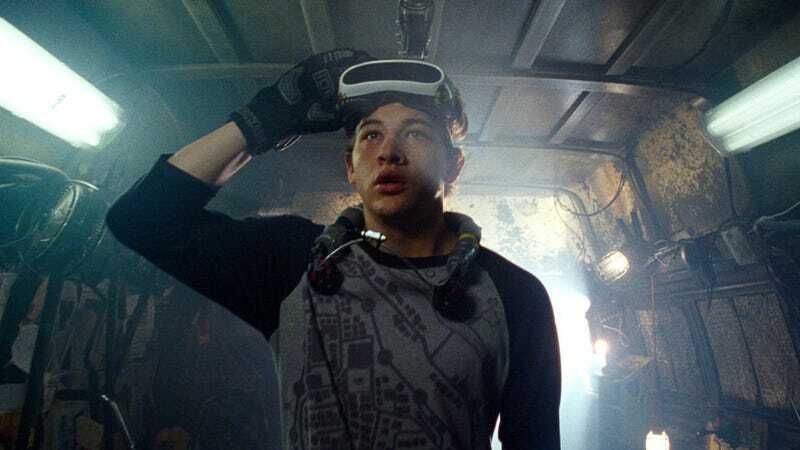 Ready Player One is doing much better with audiences and critics than that particular ill-fated revival, with an “A-” CinemaScore from viewers and a respectable 75 percent fresh rating on Rotten Tomatoes. Ticking two out of three of those boxes is the No. 2 movie of last weekend, Tyler Perry’s Acrimony, which traded on the established Tyler Perry brand to pull in a respectable $17 million opening. That film was also a hit with its older, mostly female audience, which also gave it an “A-” CinemaScore; critics weren’t on the same page, branding the Taraji P. Henson-starring blend of moralizing melodrama and trashy thriller with a dismal 28 percent Rotten Tomatoes score. Apparently it is possible to push a brand too far, however, as demonstrated by the performance of threequel God’s Not Dead: A Light In Darkness. The film failed to repeat the performance of its kinder, gentler (if equally tin-earned) faith-based counterpart I Can Only Imagine—which is still holding strong at No. 4, by the way—opening with a splat at No. 12 with $2.6 million on 1,693 screens, a dismal $1,553 per-theater average. (For comparison, Isle Of Dogs came in ahead of God’s Not Dead 3 at No. 11 with one-tenth the number of screens and a $17,030 per-theater average.) How the NRA’s Dana Loesch, who has a cameo in the film, will manage to blame this on teenagers is still being determined. Elsewhere in the domestic box office, the slow rollback of Black Panther from multiplexes has begun as the film was removed from 382 screens in its second week. That was still enough to land the billion-dollar blockbuster a No. 3 slot, however, ahead of No. 5 and No. 6 films Pacific Rim Uprising and Sherlock Gnomes. The retreat is much hastier for the underperforming Tomb Raider and A Wrinkle In Time, both of which disappeared from more than 1,000 screens this past weekend, and saw their place on the charts drop accordingly. Love, Simon’s still hanging in there at No. 7, however, presumably sustained by positive word-of-mouth from LGTBQ celebrities like Billy Eichner, who wrote on Twitter, “I wish it existed when I was younger but I’m glad it does now.” Greg Berlanti’s coming-of-age/coming-out movie appears to be warming non-famous hearts as well, earning a rare “A+” CinemaScore.